Whether you love a long relaxing soak in the bath surrounded by candles or prefer a rejuvenating spritz under the shower, your bathroom linens can really help set the mood for your day (or night). There’s something so pleasing about seeing beautiful linen towels hanging in a row, or folded neatly in a pile. Or freshly laundered face cloths ready to gently cleanse your skin, and maybe to wipe some sticky fingers and chins at children’s bedtime. Here’s our Spring edit of gorgeous bathroom linens, from waffle to huckaback and in the perfect tones for the new season. Make this Spring the time you treat your bathroom, and your body, to the wonders of linen. Nothing looks, or feels, better. It’s that simple. 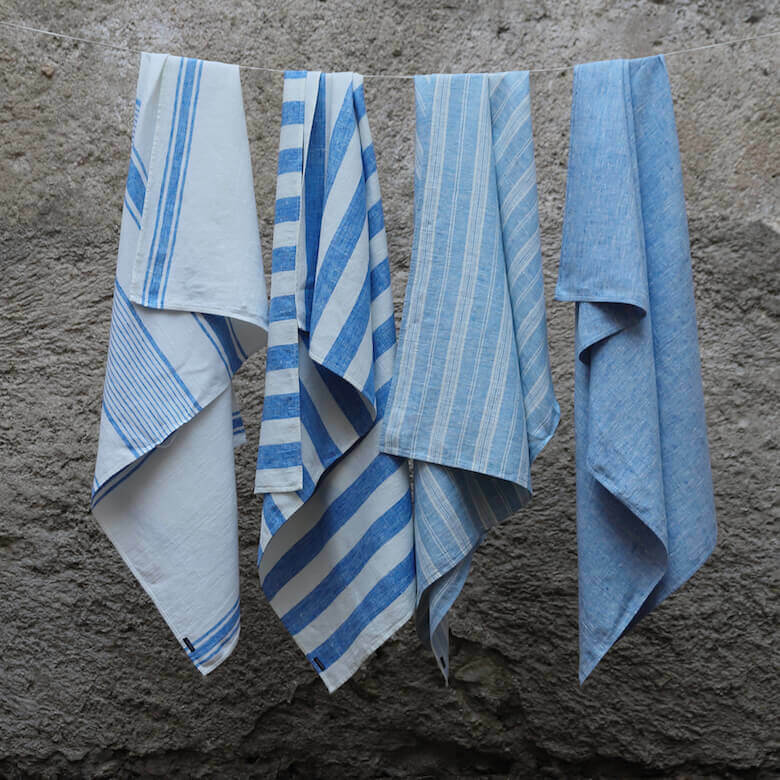 Our blue striped linen bath towels come in a range of designs. But all share the softness and high absorbency of the exquisite linen, and the fine huckaback weave that lends texture to the design. These are perfect for Spring, conjuring up summer swims in bright blue seas, cloudless skies and playing about in a pool. 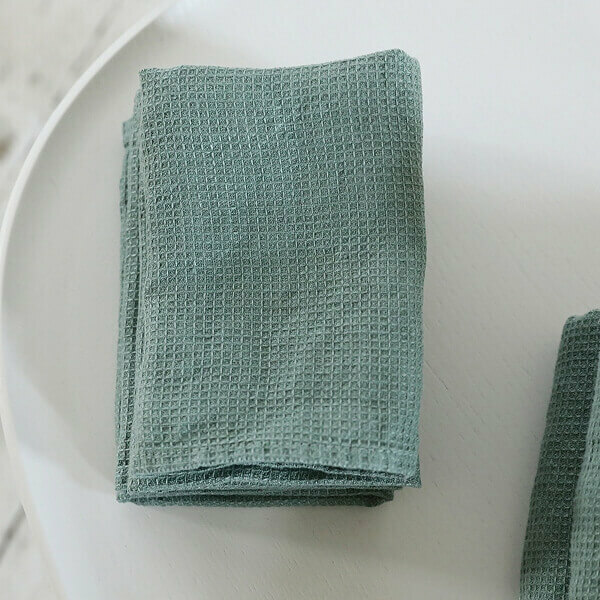 Linen towels not only add elegance to your bathroom, they are useful for travel too, folding up much smaller than bulky cotton towels, and drying much more quickly. Ever classy, clean and simple, white linen towels are always a good option. 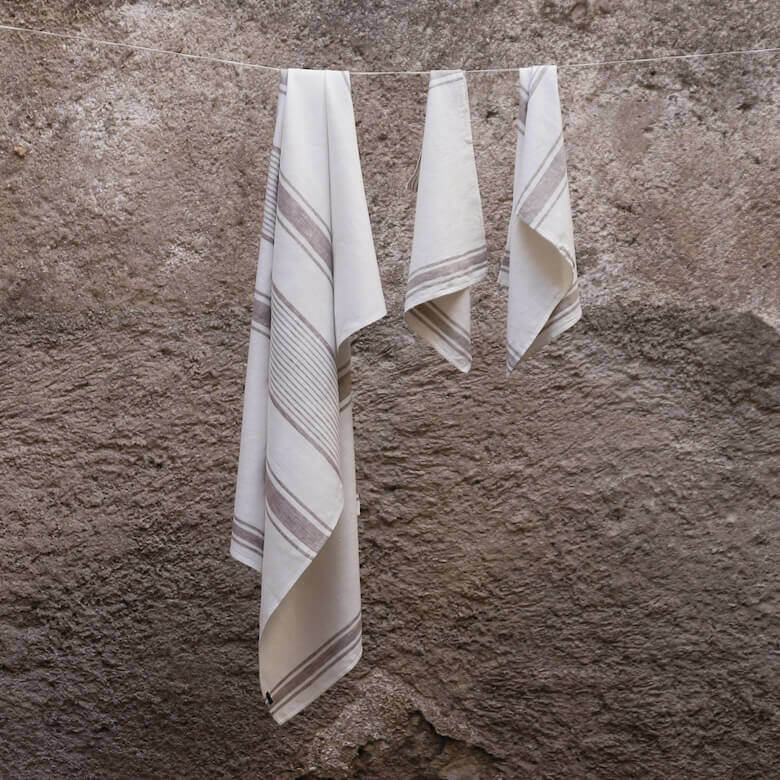 These huckaback linen towels have an understated beauty thanks to the weave of the fabric. Yet they are hardwearing too, meaning you can wrap yourself and your family in softness for years to come. When you wash your face and body you want something that feels soft and is kind to your skin. Our waffle wash cloths are ideal, crafted as they are from fine natural linen that is not just gentle, it also has anti-bacterial properties that will ensure your skin stays fresh and clean. We love this Spa green colour way as it echoes the budding shoots and leaves we can see all around us outdoors. 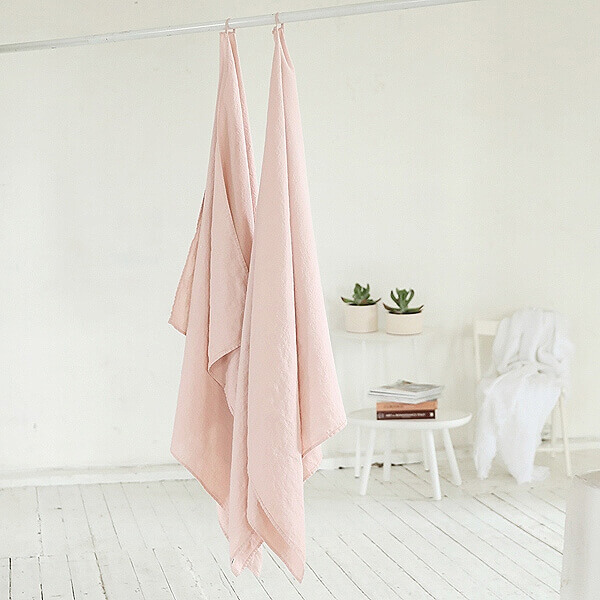 We sang the praises of our stunning Rosa pink linen textiles here, and these waffle weave linen bath towels are featuring in this edit once again. They are just too adorable to resist. Muted, dusky pinks work with most bathroom colour schemes, and bring a pretty blush of colour to your home. Just lovely. If you want to bring a bit of soft colour to your bathroom our beige Tuscany linen bath towels are just the thing. In a neutral background colour with a natural light taupey-brown stripe these are sophisticated and elegant, without being fussy. Linen towels are easy to care for too. Simply wash in your machine, and you’ll discover that they get even softer with each wash. You can tumble dry, but because linen towels are so quick-drying you might find this is not necessary. Which is good for the planet, and for your energy consumption. So there you have it, all you need to zhuzh up your bathroom this season, and to treat your skin to the delights of finest pure linen. 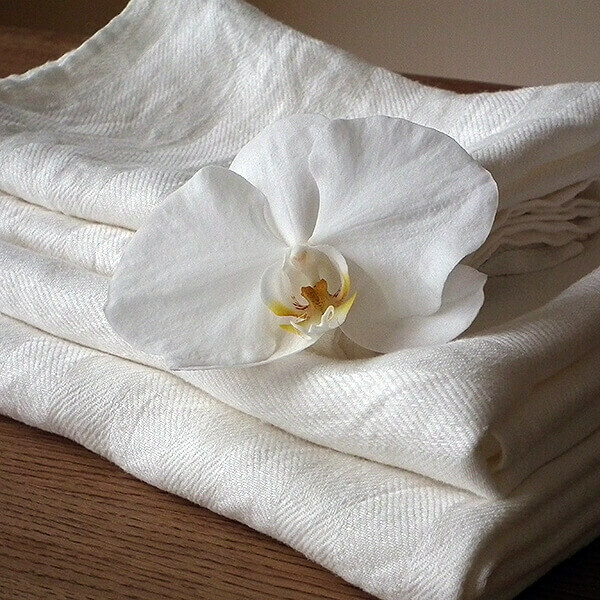 For more on the benefits of linen towels go here. You’ll see just why we are so mad about them.